Consistent, quality technical support is essential to delivering a great customer experience. However, few small and mid-sized businesses have the resources for a full-time IT department, which means customers are not always getting accurate, prompt answers to their questions and concerns. Whether it’s accomplished via email, live chat, telephone or another platform, tech support helps customers use products correctly and resolve a number of technical issues ranging from installation and login problems to other challenges that can lead to frustration and – eventually — customer attrition and lost revenues. Experiencing technical difficulties with electronic gadgets, IT devices and software has a negative effect on the user experience, particularly when customers cannot get their problems resolved in a timely manner. And numerous studies have shown that dissatisfied customers are more likely to share their negative experience with a product or brand online, which can undermine a company’s reputation. Every time a business fails to adequately answer and solve a tech or IT support query, they run the risk of losing a customer and potential leads that person may have generated. How do burgeoning start-ups and growing organizations ensure their customers receive top-notch tech support without diverting in-house resources or investing in costly infrastructure? For many, the most effective solution is to outsource their tech support. 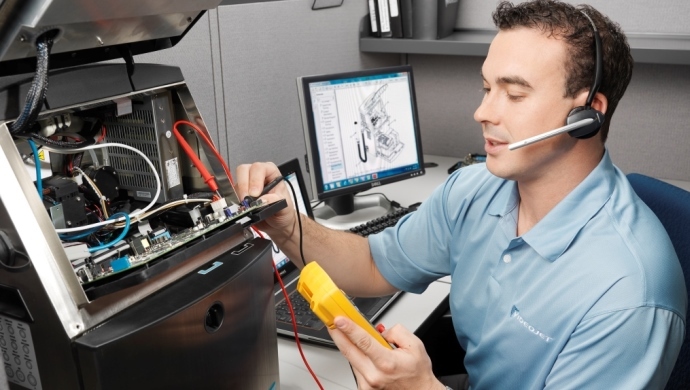 Outsourcing technical support is a cost-efficient way for organizations to provide quick problem resolution and help engender customer loyalty, and ultimately, a more robust bottom line. By delegating this critical task to trained experts, who have the knowledge and domain expertise to resolve complex questions, businesses can focus their energies on core competencies and strategies for increased growth. One of the obvious advantages of outsourcing tech support is the financial savings, as businesses have access to a highly trained talent pool at a fraction of the cost of hiring and training an in-house team. It also provides operational savings since there is no need to purchase expensive routing equipment and cloud-based platforms to streamline and handle queries. Having exceptional customer support in IT matters is also a strong selling point, and a motivating factor for word-of-mouth recommendations. By outsourcing, clients have instant, real-time access to a tech support agent 24 hours a day, 7 days a week. It doesn’t matter if they are calling about malfunctioning software at midnight on Christmas eve; their questions will be addressed by a professional agent who has in-depth knowledge of the product. Offering accessible, superior tech support translates to happier customers and better retention rates. Some of today’s most successful companies put just as much focus on after-sales support as they do in developing and product marketing. Whether it’s offering quality support in software setup or gadget troubleshooting, it’s imperative to take care of customers and meet their needs. Ecommerce businesses can benefit tremendously from the flexibility afforded by outsourcing, since it allows companies to scale up or down according to seasonal demands, when tech support queries fluctuate. What Is The Best Phone Lookup Service?